2 x 5 Watt POND CLARIFIER FILTER PLS 2 PIN G23 UVC BULB. UVC Radiation (watts). GPX "PLS" UV lamp 5 watt. Our UV bulbs fit a wide range of units from many manufacturers including, Hozelock, Oase, SuperFish, Fish Mate and many more. 18 Watt POND CLARIFIER FILTER PLL 4 PIN 2G11 UVC BULB. 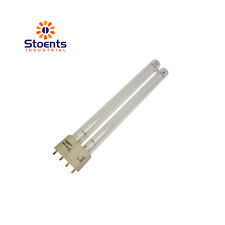 GPX "PLL" UV lamp 18 watt 4 Pin 2G11 Cap. UVC Radiation (watts). 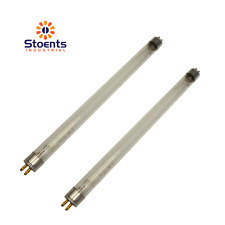 Our UV bulbs fit a wide range of units from many manufacturers including, Hozelock, Oase, SuperFish, Fish Mate and many more. 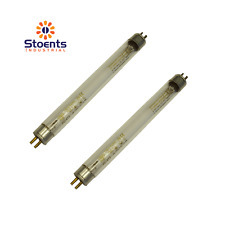 2 X 18 Watt POND CLARIFIER FILTER PLL 4 PIN UVC BULB. GPX "PLL" UV lamp 18 watt 4 Pin 2G11 Cap. UVC Radiation (watts). 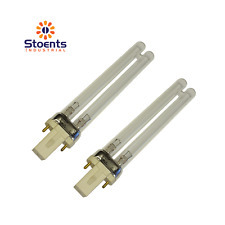 Our UV bulbs fit a wide range of units from many manufacturers including, Hozelock, Oase, SuperFish, Fish Mate and many more. 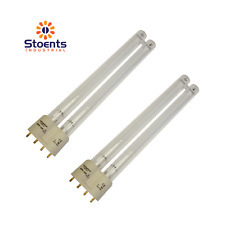 2 X 24 Watt POND CLARIFIER FILTER PLL 4 PIN UVC BULB. GPX "PLL" UV lamp 24 watt 4 Pin 2G11 Cap. UVC Radiation (watts). Our UV bulbs fit a wide range of units from many manufacturers including, Hozelock, Oase, SuperFish, Fish Mate and many more. 2 x 9 Watt POND CLARIFIER FILTER PLS 2 PIN G23 UVC BULB. 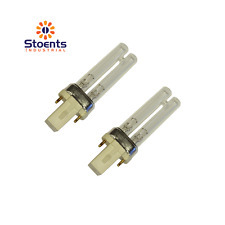 GPX "PLS" UV lamp 9 watt 2 Pin G23 Cap. UVC Radiation (watts). Our UV bulbs fit a wide range of units from many manufacturers including, Hozelock, Oase, SuperFish, Fish Mate and many more. 9 Watt POND CLARIFIER FILTER PLS 2 PIN G23 UVC BULB. 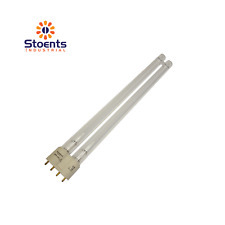 GPX "PLS" UV lamp 9 watt 2 Pin G23 Cap. UVC Radiation (watts). Our UV bulbs fit a wide range of units from many manufacturers including, Hozelock, Oase, SuperFish, Fish Mate and many more. UVC Radiation (watts). Our UV bulbs fit a wide range of units from many manufacturers including, Hozelock, Oase, SuperFish, Fish Mate and many more. Overall Length (mm). 55 Watt POND CLARIFIER FILTER PLL 4 PIN 2G11 UVC BULB. 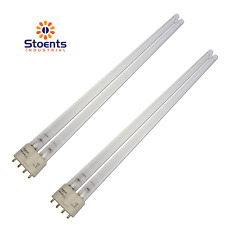 G55T8 UV lamp 55 watt 4 Pin PLL 2G11 Cap. UVC Radiation (watts). Our UV bulbs fit a wide range of units from many manufacturers including, Hozelock, Oase, SuperFish, Fish Mate and many more. 24 Watt POND CLARIFIER FILTER PLL 4 PIN 2G11 UVC BULB. GPX "PLL" UV lamp 24 watt 4 Pin 2G11 Cap. UVC Radiation (watts). Our UV bulbs fit a wide range of units from many manufacturers including, Hozelock, Oase, SuperFish, Fish Mate and many more. 5 Watt POND CLARIFIER FILTER PLS 2 PIN G23 UVC BULB. 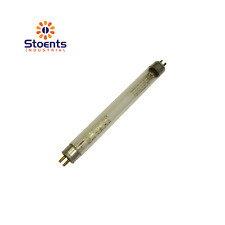 GPX "PLS" UV lamp 5 watt 2 Pin G23 Cap. UVC Radiation (watts). Our UV bulbs fit a wide range of units from many manufacturers including, Hozelock, Oase, SuperFish, Fish Mate and many more. TROPICAL MARINE CENTRE (TMC). Quartz Sleeve.